Recently I was facilitating a workshop for middle level managers. During a casual conversation with the participants, some of them asked me an interesting question. It was a tricky question, which had two answers. I knew what the answer should be and I also knew some contrasting reality.Great leaders have to be great learners. They are never satisfied with what they are; they always want to reach next level. Great leaders that I have come across amply demonstrate this behavior. In fact, they inspire others to learn continuously! 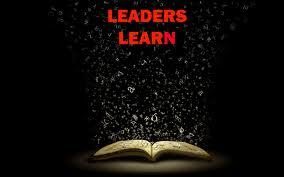 On the contrast, I did see many leaders who think they are beyond any learning. They behave as if they know everything. They carry several blind spots about themselves. That in fact could be the beginning of their downfall. Great leaders take every opportunity to critically look at themselves and seek to learn. I witnessed such zeal among the 50 participants of my Next Level Leadership © workshop organized last year. They discover a new purpose and thereby channel their learning towards the same. It is also important to realize that learning at top level is very much voluntary. Unlike at junior levels, senior leaders are not “nominated” or “pushed” to participate in any learning process. In this context, great leaders are differentiated from the rest in their initiative to learn and rediscover. More on rediscovering the purpose and elevating self to higher level of leadership can be learnt in my Next Level Leadership © . Leadership is a choice; learning is also a choice; great leadership is a bigger choice! But, learning is not a choice for great leaders!